Hello ... Hello ... my old friends ... It's great to see you once again! It really is quite surreal to travel the twenty  miles or so to a small country pub in Worcestershire to see not only an original member of The Move gigging with his own band but also to witness a real character share his undoubted supreme guitar craft in such humble settings in front of such a packed house. 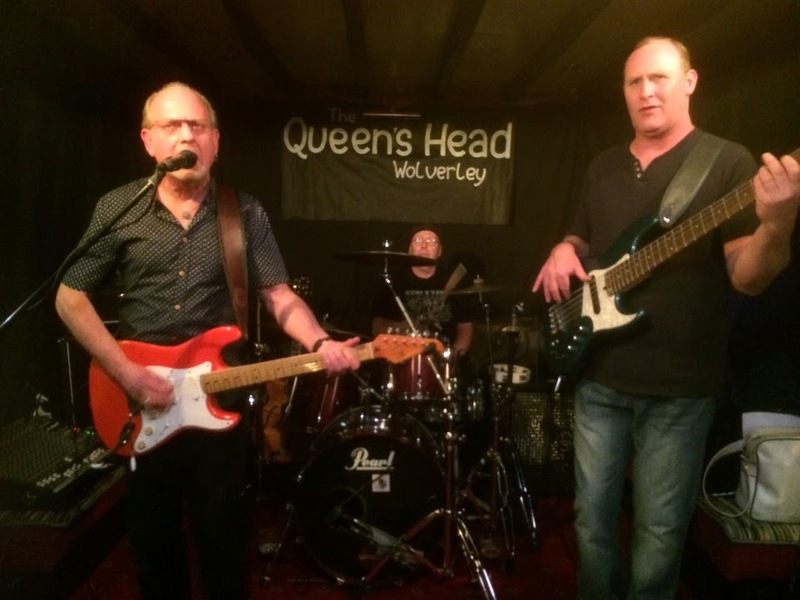 And so it was last night [Friday 18th April] at The Queen's Head in Wolverley near Kidderminster as The Trevor Burton Band delivered another stunning set of their own material and some astonishing Bluesy interpretations of the classics. That you can witness someone so close to home who must surely be one of the worlds top Blues guitarists [and not a bad vocalist either with quite a range] plying his trade with his two classy cohorts Pez Connor [Bass/backing vocals] and Bill Jefferson [Drums] in such a tight unit really is a privilege and a blessing. 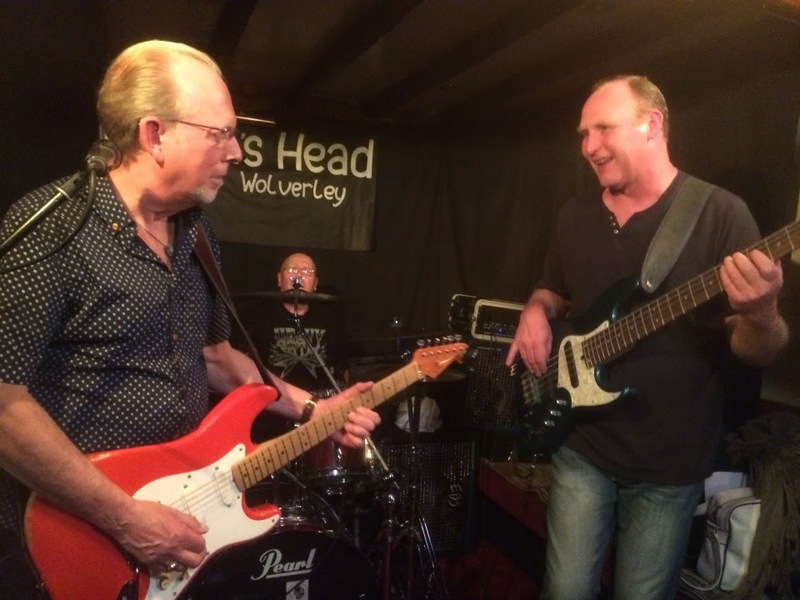 Highlights for me of last nights gig were once again many but once again Trev's southern Blues re-interpretation of "Heartbreak Hotel", the stomping "Master Of Disaster", "Dear Mr. Fantasy" and [of course] "Hey Joe" were a delight to the ears. The icing on the cake was that the band rolled out their fantastic version of "Werewolves Of London" again - much to my own personal delight! You really should make some time in your calendar to go see these guys. You really should. ELO Beatles Forever [ELOBF] recommends The Trevor Burton Band to those enlightened folks who enjoy the music of ELO, Jeff Lynne, Roy Wood, The Idle Race, The Move, The Beatles and related artistes.